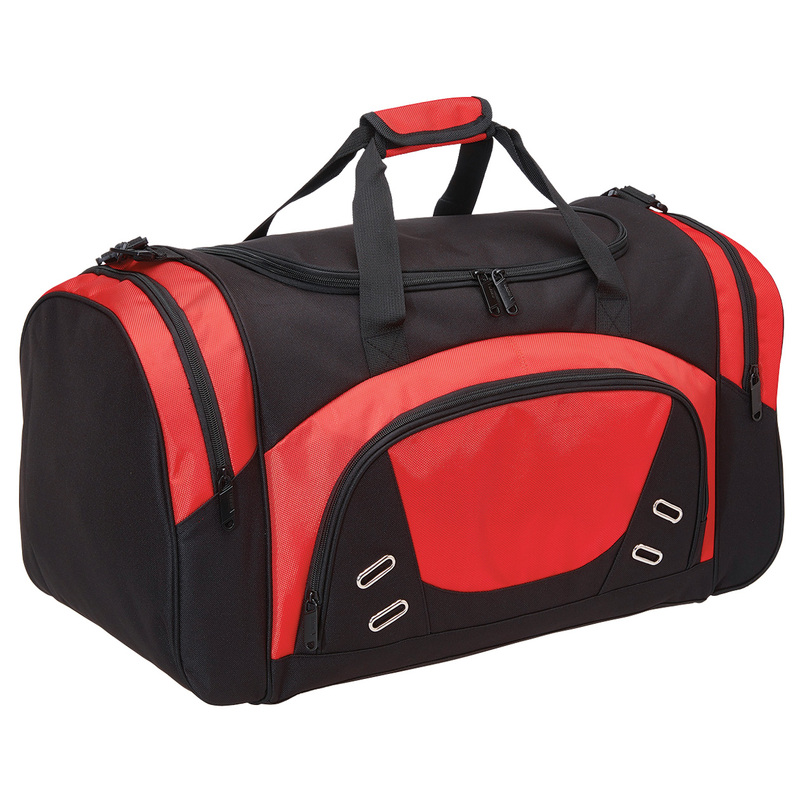 Made to last these sports bags are a great choice for students! 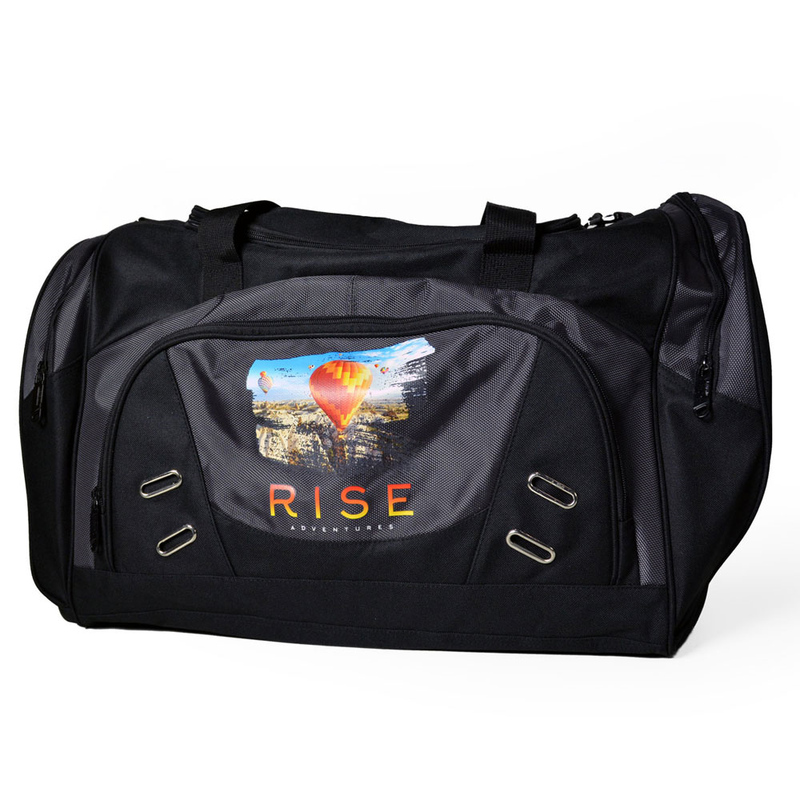 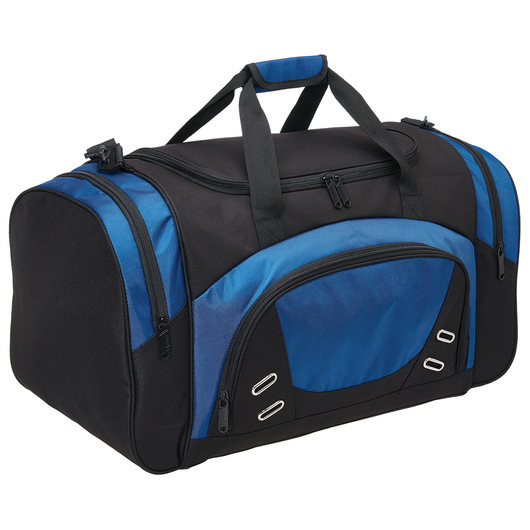 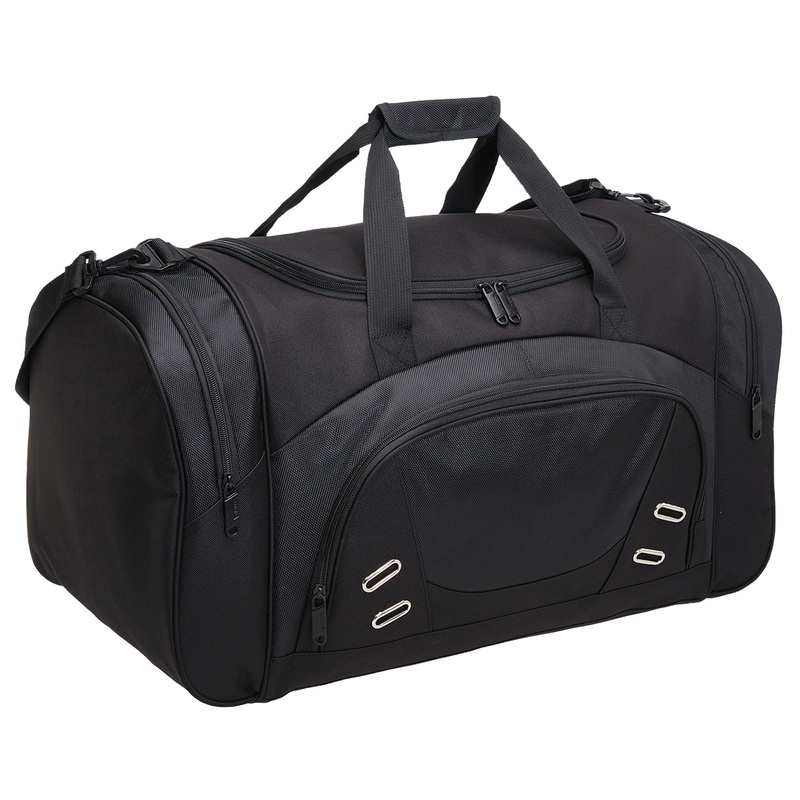 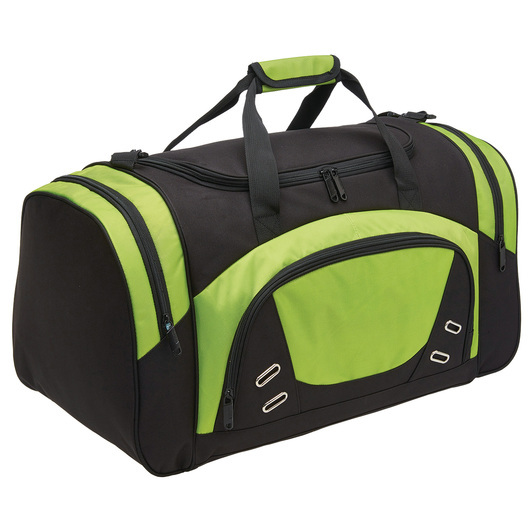 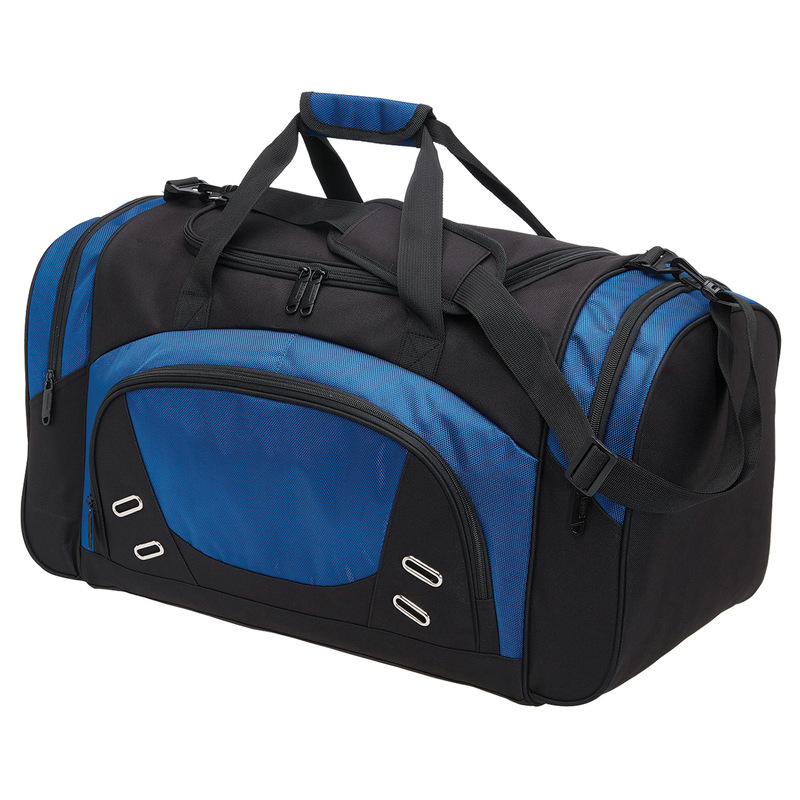 Built to withstand all your demanding needs, this sports bag looks good and is extremely functional. Load it up and carry it to your next event. 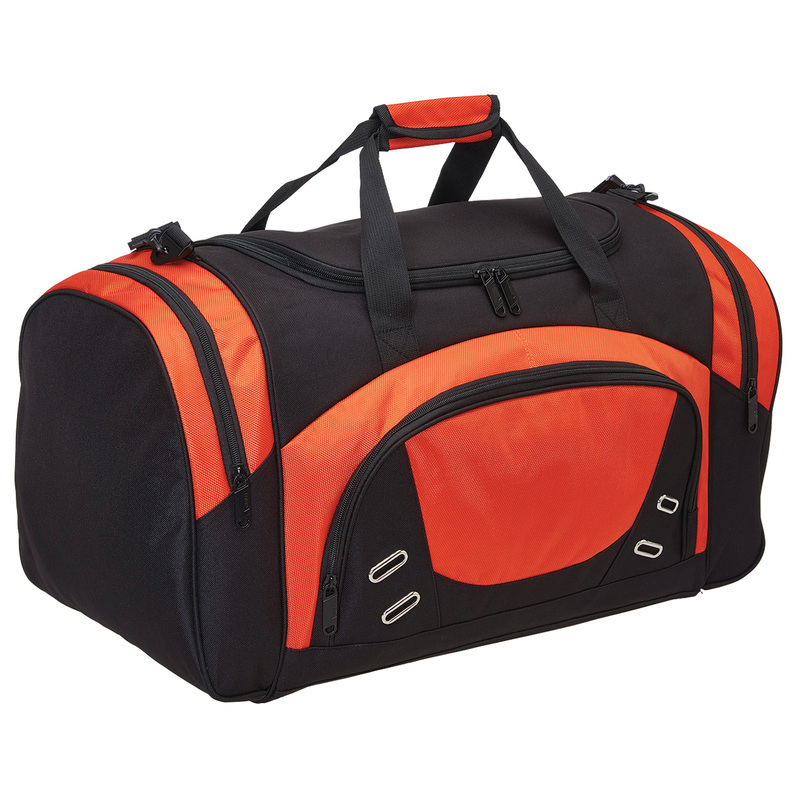 Manufactured with 600D polyester fabric with 1680D polyester fabric contrast panels giving it a staggering 60 litres of carrying capacity. 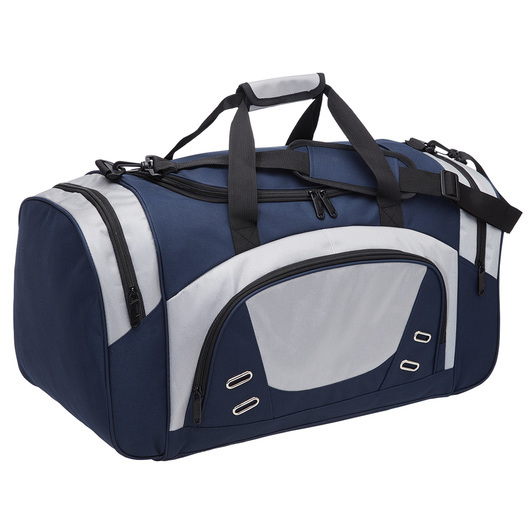 It also features a U-shaped opening to main compartment, front zippered pocket, zippered end compartments, webbing handles with velcro cuff, removable adjustable webbing shoulder strap, feature metal eyelets on front pocket, and solid metal zippers to each compartment.